Home » HelloFresh Meal Review — Really the Most Popular??? HelloFresh is crazy popular, but what did we think of the taste, nutrition, and price? When I heard the name “HelloFresh”, the first thing I pictured was a plate of vibrant greens, colorful vegetables and juicy proteins. If I’m being honest, thinking about all of that got me really interested in trying what this company is serving up in their meal kits. Now, HelloFresh one of the more well-known meal delivery brands, which is exciting. But I’m curious: How well does this competition stack up against its competition? In this review, I’m going to examine all of the ins and outs of HelloFresh to determine the quality of this meal delivery service. I’ll break down everything from the ordering and cooking experiences, taste, nutrition, and pricing. 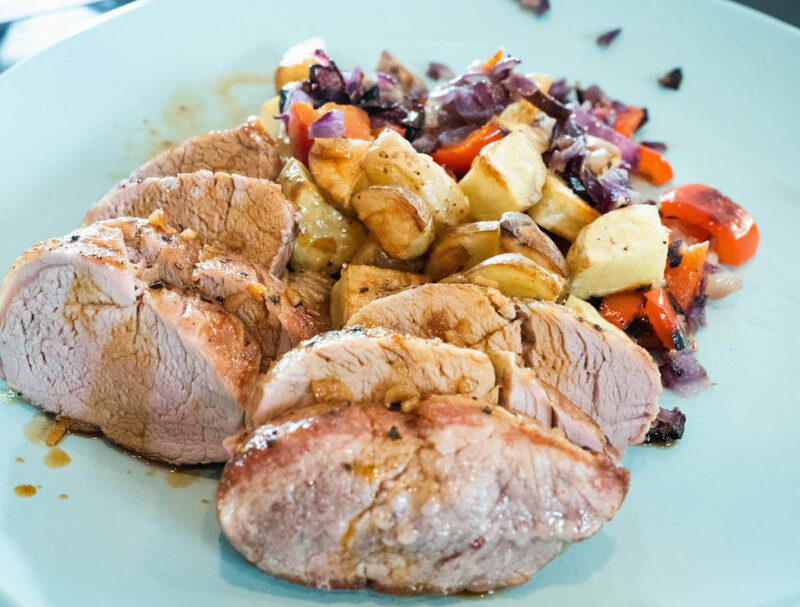 Are you an athlete or someone on a specific diet plan and not sure if HelloFresh is for you? No worries. By the end of this article, you’ll know whether or not this company is a good fit for your lifestyle. So stick with me as I dig into HelloFresh. While HelloFresh is one of the largest meal kit delivery services in the U.S., it was actually started in Germany in 2011. The companies beginnings were humble with a personal touch. In fact, they hand-delivered their first 10 orders. Today, HelloFresh claims to have grown so much that by 2014 were delivering one million meals a month. 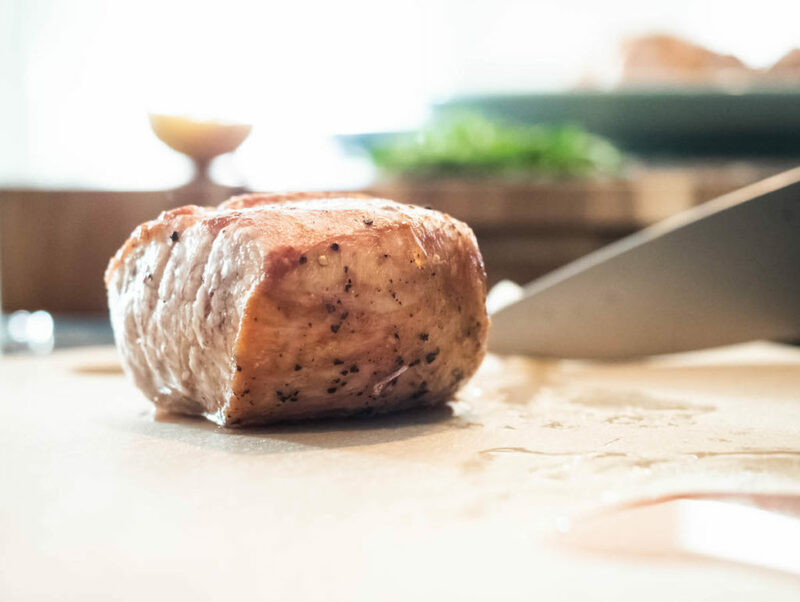 This company’s focus is creating convenient, easy to prepare meals (average cook time is 3- to 40 minutes) that are well portioned, affordable, and made out of high-quality ingredients. Before I peep into my box to confirm that HelloFresh is keeping to their word, let’s go over what my ordering experience was like. When it comes to ordering food online, I want to make sure the process is smooth and can be customized to my needs. The HelloFresh website was pretty simple to navigate and I never questioned where to go to get the information I needed. However, the site is pretty barebones and there isn’t much to see. They offer great HD images of their meal choices with step-by-step instructions, cooking difficulty level, complete nutritional breakdowns (I’ll dig deeper into nutrition later), and an allergen list. I was excited to find that there was a page for their wine club (ooo!) and another page where I could purchase gifts for friends and family. But other than that, there isn’t a whole lot to explore, and unfortunately, I ran into some glitches while scrolling through. When it came to ordering, I was glad to see that there were quite a few ways I could customize my meal preferences. I could choose between their Classic, Family and Veggie plans. The veggie plan is more oriented towards people with vegetarian diets, while the family plan offers dishes that are quick and equally tasty for kids and adults. Among those plans, I could choose anywhere from 2-4 recipes a week and select servings for either 2 or 4 people. Finally, HelloFresh rotates 15 new meals a week and I can easily change my delivery date and pause deliveries when needed. I can even meal plan up to eight weeks in advance. Having these options is certainly great, but I think that HelloFresh could offer even more customization for its customers. For example, there are many people who follow various dietary needs. If you are a keto, paleo, vegan, gluten-free, low-carb, or low-calorie eater, there is currently no way for you to filter through the menus to find the dishes that fit your lifestyle. Plus even if you do you research and find the meals that work for you, the menus rotate every week. Because of that, you might not always find enough options every time you look to place an order. The last thing I’ll note about my ordering experience is that I never received an order confirmation email. All I got was an email notifying me when my box was shipped. Honestly, not receiving a receipt immediately after I placed an order was a little concerning and I think that’s something HelloFresh could easily fix. Okay! It’s time to unpack and see what we got. First of all, the green, HelloFresh box arrived at my door in near-perfect condition. I didn’t find any blemishes, which was good. The last thing I want is for my food to be contaminated or spoiled from being exposed to outside elements. When I unpacked the bag I didn’t find much produce, but everything I received looked fresh and bright. Everything was kept cool by cold packs and the meat was vacuumed sealed and kept separate from the other ingredients. The ingredients were all organized. I wasn’t confused as to which went in what dish. The only problem I bumped into was the fact that I never got the scallions that were supposed to be included in my order. And here I was hoping that I could skip a trip to the grocery store. Huge bummer. What did make me smile were the two pieces of chocolate I found at the top of the box. I thought that was a sweet touch. Next to the food, I found two ulta-colorful recipe cards with a photo of the finished dish on the front and then step-by-step instructions on the back. The cards includes a section of tools and ingredients you’ll need to have in your kitchen to complete each meal. I really appreciated the fact that HelloFresh provides a fairly detailed nutritional breakdown at the very bottom of the cards. Most meal services I’ve tried only provide the calories and the macro sets, but HelloFresh takes it a step further to provide other details such as the fiber, sugar, and sodium contents as well as the amount of saturated fat. This is information is important for anyone who is counting their macros or for anyone who is eating a low-sodium, low-sugar diet. More on that later, but in the meantime: Kudos to HelloFresh. While not everything in the HelloFresh box is recyclable, the company provides in-depth steps to dispose each item as responsibly as possible. Even though I’d like the packaging to be a bit more environmentally friendly, I thought they were being very considerate! Necessary Extras: Butter, sugar, salt, pepper, vegetable oil, paper towel, small bowl, strainer, small pot, large pan, medium bowl, plastic wrap. Necessary Extras: salt, pepper, olive oil, baking sheet, large pan, paper towel. Overall, cooking with HelloFresh was super easy. All of the ingredients were easy to work with and all I had to do was follow the steps. Both meals said they would take around 30 minutes to make, and I would say I finished them just under that estimate. While I do have a lot of experience in the kitchen, I think that HelloFresh could be a great meal service for those who might not be the most confident chefs. HelloFresh takes a lot of the more tedious tasks out of the equation (like portioning). Prep: Wash and dry all produce. Pat chicken dry with paper towel. Season all over with salt, pepper, and chili powder. Trim, then thinly slice scallions. Drain pineapple while reserving the juice. Halve Thai chili, then thinly slice. Cook: Melt butter in a small pot. Add pineapple chunks and scallion whites. Cook until just softened. Stir in rice, water, and salt and pepper to taste. Bring to a boil, then reduce heat to low, cover, and let come to a gentle simmer. Cook until tender then let stand off heat, covered. Heat oil in a large pan. Add chicken and cook until browned on bottom. Flip and cook until browned on other side. Meanwhile, add barbecue seasoning, remaining chili powder, sugar, vinegar, and jam to pineapple juice in bowl and stir. Place green beans in a medium, microwave-safe bowl with water. Cover bowl with plastic wrap and poke a few holes in wrap. Microwave on high until tender but still bright green. Drain and toss with butter. Season with salt and pepper. Once chicken is browned on both sides, add jam mixture and stock concentrate. Flip chicken to coat all over. Let jam and stock mixture simmer until thick. Remove pan from heat and add butter, stirring to melt. Season with salt and pepper. Plate everything and decorate with glaze, scallion greens and thai chili. This dish was super simple to put together. There was not a lot of prep involved at all. Microwaving the green beans reduced the amount of work I had to do. I know there are a lot of people who are turned off by the idea of microwaving food. If that’s you, you can easily take the beans out of the bag and cook them as you prefer. This meal is best for people who don’t have a ton of time to cook. It’s also good for those who want experience handling chicken and crafting sauces. Prep: Wash and dry all produce. Preheat the oven to 450 degrees. Dice the potatoes into cubes. Dice the zucchini into ½-inch cubes. Trim the ends of the scallions, then thinly slice. Mince the garlic. Pick the cilantro leaves off the stems. Halve the lemon, cutting one half into wedges.Pat dry the pork with a paper towel. Cook: Toss the potatoes on a baking sheet with olive oil, salt and pepper. Place in the oven, tossing halfway through cooking, until golden brown. Heat olive oil in a large pan. Season the pork with salt and pepper. Sear the pork on each side, until golden brown. Place onto a baking sheet in the oven until cooked to desired doneness. With 5 minutes left on the pork, heat olive oil in the same pan. Add the garlic, scallions, and zucchini to the pan and cook until softened and slightly golden brown. Once the pork is finished, set aside to rest for 5 minutes. Add the potatoes and toss with a squeeze of lemon. Season to taste with salt and pepper. Plate! This dish had a bit more prep than the chicken one because there were more vegetables involved. Nonetheless, it was still pretty easy to prepare. I think this dish works best people who want to master chopping and slicing ingredients as well as for those who want to learn how to use an oven. So one of these dishes fit my tastebuds quite well, the other I don’t think I’ll be eating again unless I modify the recipe myself. The Sweet ‘N’ Smoky Chicken Cutlets were incredibly sweet — way too sweet for me. The cherry ancho BBQ sauce was more cherry than it was ancho. They did achieve the smokey flavor described in the recipe, but this recipe is categorized as spicy and it simply wasn’t. Now the fresh chili on top certainly stood out. Personally, I am a fan of spicy food so that was awesome and a real plus if you’re into spice as well. 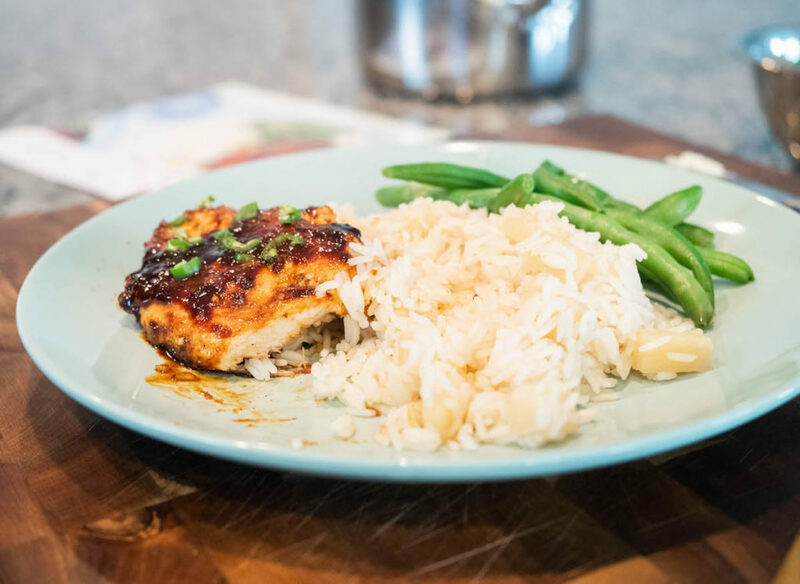 The glaze on the chicken was made with cherry jam, which was packed full of sweetness, and the recipe itself called for an additional 2 teaspoons of sugar. I actually didn’t have that on hand so we skipped it all together. Even without it the glaze was extremely sweet. I want to mention that I took the rib and seeds out of one half of the chili and the flavor still popped, which I liked. The pineapple rice helped to balance the sweetness a bit and gave the dish a hearty feel. The butter definitely stood out. Both the green beans and the rice called for a full tablespoon each and I could really taste it. Not my favorite dish, but if you’re into sweet meals, go for it! Roasted Pork Tenderloin was pretty great. Unlike the chicken dish, each ingredient stood out really well on it’s own. The pork was tender and full of flavor, the veggies married nicely with the pork and the little bit of tang from the sauce was a nice bonus. I am a huge fan of being able to taste each ingredient in my meals rather than the meal tasting like a sauce. If that is something you enjoy as well, I can totally recommend this dish for you! As I have said before, HelloFresh gives a very detailed nutritional value list, which will be great for all of you dieters and macro counters out there. But I need to note here that HelloFresh doesn’t give you everything. I’m often curious about vitamins and minerals I’m consuming in my food. Some meal delivery kit services I’ve tried don’t provide that information (HelloFresh certainly doesn’t), so maybe satiating my curiosity is a big ask. Still, I think it’s important to point out. This recipe is great for someone who wants to eat something that’s bold and sweet. This dish is pretty high in sugar so I don’t recommend it to anyone who is watching their sugar-intake or is looking to reduce the amount of carbs they eat. The calories are also a little high in my opinion. I think this dish is great for those who like to taste each ingredient in their dish without being overwhelmed with sauce. The calories are reasonable and it’s well-balanced between fat, carbs and protein. If you are looking for a high-protein dish with a decent amount of fiber, this one’s for you. Is HelloFresh Good for Weight Loss? So HelloFresh is not a company that is going to hold your hand on your weight loss journey. There is nothing on their website or the app that supports individuals are trying to shed some pounds or follow a certain diet, so it’s hard to say if HelloFresh would be good for your weight loss regimen without doing your own research. As I mentioned before, HelloFresh offers 15 meals to choose from each week. While they bring great transparency as far as nutritional breakdowns for the food, there aren’t a ton of options to sort by if you have certain dietary parameters. There are weekly vegetarian options, but if you’re Paleo, keto, or gluten-free for example, there’s no guarantee they’re going to have something every week that fits your needs. You also can’t filter for low-calorie options. You have to determine yourself if the meals fit your goals by looking at the nutritional information, since they aren’t pre-categorized. Also there’s not a lot of room for customizability if you’re, say, looking for something with a particular fat to protein ratio. Bottom line: While HelloFresh meals are interesting and have variety, the service is likely an inconsistent choice for folks interested in a weight loss plan. HelloFresh is one of the more affordable meal delivery services I’ve seen. I ordered two meals with two servings in the Classic category. It all came out to be about $7.99 per serving plus shipping. I’ve seen other services that charge $12 per serving so I think HelloFresh is pretty reasonable. The cheapest I’ve seen on the market so far is $4.99. I also thought the portion sizes were appropriate. I finished each of my meals feeling full. The more meals you order the price per serving drops. For example, with the Classic plan, the most you can order is 4 meals per week. In that case the price drops from $7.99 to $5.99 a serving (plus shipping). The Family and the Veggie plans have different pricing structures. This plans are a bit cheaper. There’s a lot of nutritional information available. They are the first meal kit service I’ve seen that has given so much detail. This feature is great for macro counters and those looking to meet certain dietary requirements. There’s a good variety of flavor profiles. 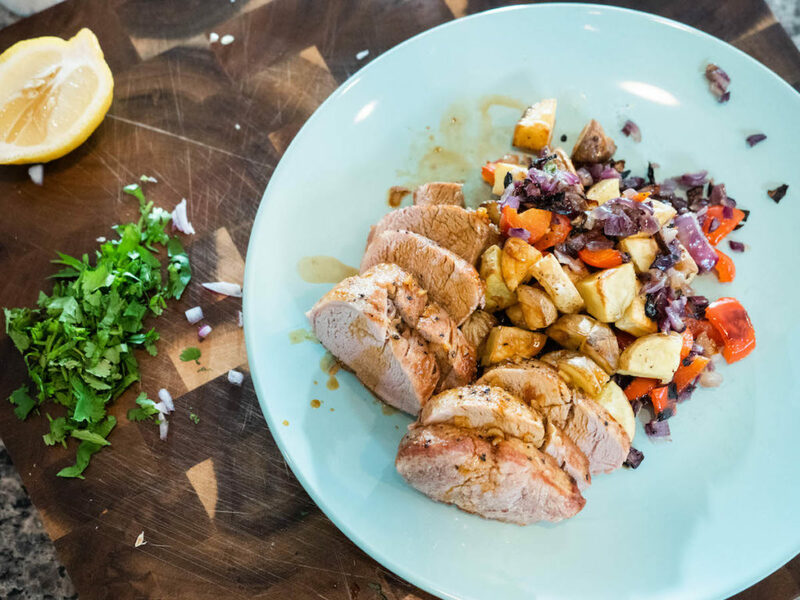 After tasting those smoky, sweet chicken cutlets and the simple yet juicy pork tenderloins, I could tell that HelloFresh offers a wide variety of dishes that could satisfy many different palates. The pricing is fair. HelloFresh is one of the more affordable options I’ve seen. There are few/no options for ketogenic, gluten-free, or paleo diets. While HelloFresh gives you a lot of nutritional information, they don’t make it easy for you to sort through all of their menus. There are no filters to help you look for meals that could fit your specific lifestyle so you’re going to have to do the research. There are no specific plans for weight loss. This site is not geared towards those who are looking to shed some pounds. The website is pretty barebones. There’s not much to explore on the website and I ran into a couple of glitches while clicking around. I didn’t like that I never received an order confirmation email. At the end of the day, my experience with HelloFresh wasn’t mind blowing by any means, but I do think it’s a decent service. I received fresh produce, really easy to follow step-by-step recipe cards, and had both of my meals ready to eat in under 30 minutes. I thought that was pretty convenient. I was also impressed that HelloFresh provided extremely detailed nutritional information about each dish. That’s still pretty rare in this industry. But in my opinion, HelloFresh is not the best brand for athletes or anyone trying to watch their weight. There’s no ability to filter through their website for any dietary preferences or restrictions. I also happened to pick a dish that did not suit my palate at all. Those smoky chicken cutlets were way too sweet for my liking and didn’t strike me as particularly healthy. Those are my takeaways, but you might differ! Maybe you’re just looking for a meal kit service that will help you to gain experience in the kitchen. Or maybe you want to spice up your weekly meals a little bit and cook up something fun with family and friends. In those cases, HelloFresh might be for you. Stephanie is a Social Alchemist, Competitive Athlete, Writer and Fitness Fanatic based in Austin, Texas. She spends the majority of her time running her virtual fitness collective Groundbreakers, co-running FitLincMedia, working with the rad team at BarBend and pursuing a variety of athletic endeavors. Learn more about Stephanie at www.ibreakground.com.